It's fair to say 2018 offered up plenty more reasons for Australians to be dissatisfied with democracy, but one can only assume that a list of the best craft beers for the year – selected by an arbitrarily-chosen panel of experts – will brook no complaints from the public. Right? 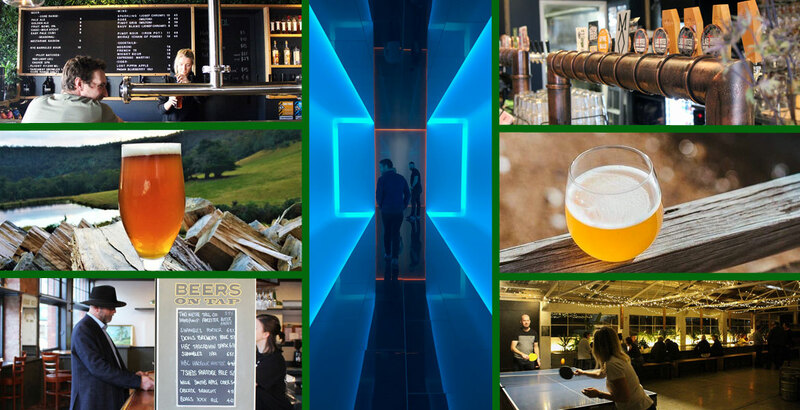 After consulting the various pundits of the Tasmanian craft beer scene (and plenty of opinionated locals in between), an odd Top Nine list has been compiled, with the final place allotted to a quartet of honourable mentions, for various (spurious) reasons. In general, Tassie follows the national beer trends, but there are occasional quirks that get thrown up. There are quite a few brewers using homegrown ingredients; collaboration with neighbouring brewers and distillers is common; and, in general, our brewers tend to offer up the occasional weird curveball. It's been a year in which the huge growth witnessed in recent years, at least when it comes to new brewing companies, has slowed a little; indeed, one – Fox Friday – was put on the market. 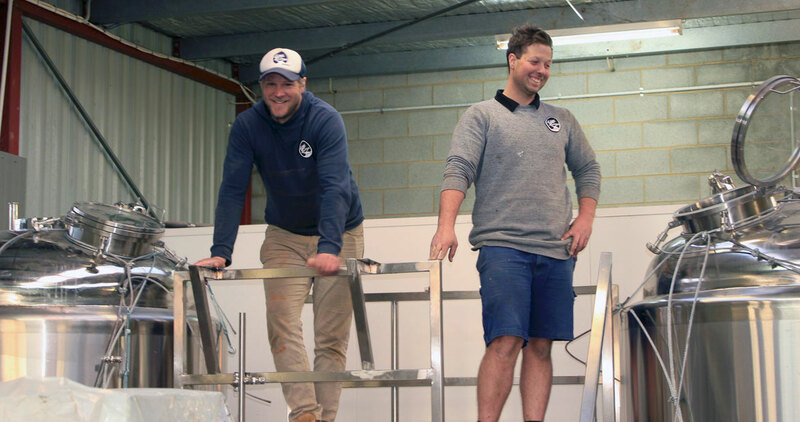 Yet, with the likes of Ulverstone-based Buttons Brewing and Grand Angus releasing their first beers in the latter half of the year, there are still people eager to become part of the state's beer scene. What's more, there are more places where you can find a broad selection of local brews on tap and in fridges, particularly in the state capital where newcomers such as Boodle Beasley, Tom McHugo's and Hop, Vine & Still are adding to a vibrant beer community (check out our Crafty Crawl guide to Hobart – breweries and venues – for more). Anyway, of all the new beers released in the past 12 months, which found favour among our contributors? Bringing together two of Hobart's best users of Humulus lupulus, you won't be surprised to learn this New England-style IPA is a hazy hoard featuring eight different hop varieties, dry-hopped daily for a week. Grown among the rolling hills of the Tatchell family farm on Launnie’s outskirts, Van Dieman’s beers have taken a distinctly agricultural turn over the past little while. This year has seen the brewery release a great range of bucolic beers, including the third of their "estate ales", a farmhouse IPA named Oscar, which uses only brewery-grown ingredients, and a pair of table beers in cans. Mid-strength beers are plenty popular this year, but not many of them can compete for complexity with this punchy little number from Ocho. Always eager to experiment, brewer Stu Grant got his hands on the Norwegian yeast strain kveik, and let it weave its thread of fruity esters throughout a Centennial and Simcoe haze. It sits at 3.5 percent ABV and manages to balance on the tropical tightrope, settling in with a light body that makes the Happy Place eminently guzzleable. It’s become a firm favourite among a number of informal voters in the front bars I've encountered over the last few weeks too. Chris Carins (left) atop the brew deck at Little Rivers in Scottsdale. This year has been a breakout one for Little Rivers. Nestled near the world-class mountain bike trails of the island’s north-east, brewer-founder Chris Carins has been producing Little Rivers beers for nearly five years. But this year’s output has been his most diverse to date – starting with the juicy, hazy concoctions of last summer and moving through to the most recent series of sours. Of those brews, Berrylicious was the favourite of our pundits. A lacto-laced kettle sour, it’s heavily burdened with berries and, in the end, the bacterial tartness limits the brew’s fruity sweetness. The presentation is impressive too: it pours the same bright red colour as the creaming soda you used to have with a counter meal. One of the handful of breweries along North Hobart’s main drag, T-Bone Brewing Co nailed the juicy and cloudy elements of the NEIPA style – as well as the deliciously drinkable flavours that made it so easy for so many of our judges to slurp it down and give it a vote. From all reports, it was flowing quickly from taps around the island, suggesting it was a popular choice with punters too, many of whom will be hoping Tom can find time in the brew schedule for another round. In a couple of short years, Spotty Dog Brewers have proven themselves to be rather handy with West Coast style beers. Here, they’ve shone the spotlight on a bright, 7.9 percent ABV Double IPA that pulls no punches when it comes to showcasing the robust, resinous hops that have made this style a classic: Centennial, Citra, Simcoe and Mosaic. Their recent partial-release of a sessionable pale ale called California Haze – which will be fully presented to the public at the Hobart food-and-booze festival Taste over the new year period – also scored from those judges who were able to make it to the handful of venues where it appeared, suggesting it may well have competed ably for this list with a wider showing. Paul Morrison has captured nostalgia for the former days of the IPA with Morrison Brewery's Tasmanian IPA – a truly tasty take on the classic US style. Augmented with antipodean hop variety Ella, the tropical flavours are prominent – but with plenty of malt crunch to offset the bitterness, it’s a really well-balanced brew that didn’t escape the attention of the voters, despite veering resolutely away from brewing trends. It’s been another solid year for Paul Morrison and his small team in Launceston and they're promising much more in 2019 too. The hands-down winner for the sleekest packaged beer of the year, Moo Brew’s collaboration with Sydney distillers Archie Rose was as smooth and matt black as the bottle it came in. Moo’s head brewer Dave Macgill has always loved releasing a hefty winter stout, but this year’s brew was able to soak up woody whisky flavours over the course of a period of barrel-ageing. The result was rich and lush, but with enough of a hint of booziness that you feel you could get into some mischief should you strike a match near it. Hobart Brewing Company took up a more local barrel connection when ageing their strong porter in whisky barrels from the veteran Hobartian distillery Lark. Fortified with the goodness of wood and whisky, it sits at 10.1 percent ABV in the bottle and – perfect for a brew released in the throes of winter – it’s as dark as the backstreets of Hobart Town at 6pm in June. A deliciously viscous whisky-tinged imperial stout. By our island standards, Tasmania’s north-west and Bruny Island are about as far apart as Broome and Melbourne. No wonder it took so long for this collaboration to happen, but it’s one that was worth the wait. Bruny brewer Evan Hunter began his career under the wing of the avuncular Willie Simpson at Seven Sheds, and this winter they produced a lovely English-style red ale, full of local Tassie ingredients. This was just one of Bruny’s collaborations for the year. A recent pairing with Ocho saw the release of Beltane Fire, a potently rustic buckwheat ale using a wine yeast; the Autumn Adventure Ale brewed with the Pink Boots Society won some praise from Top Ten voters too. Bruny Island Beer also received a smattering of votes for their Hop Harvest Ale (a Galaxy-driven golden ale with streaky yeast flavours), for this year’s 10.5 percent ABV recreation of their Metric Stout, and their very new Long Paddock saison. Suffice to say, there’s plenty happening on the island under Tasmania. One of the most prolific producers of Tassie craft beer, Kris Miles at The Winston has put out some pearlers throughout the years. There was another rendition of his beloved Grapefruit IPA, a heart-warming Choc Hazelnut Stout, and the Saison de Rizz: a truly farmhouse ale using Riesling grapes from Kris’s neighbour’s vineyard. Another brewery that may not win a popular vote largely because of venue selectivity, owners Ashley and Jane Huntington continue to produce superstar sours that garner the devotion of aficionados. Typical of the Two Metre Tall approach, the Lacto Black is an improvised, barrel-aged invention: a wild, soured dark ale that got tossed into large barrels and ended up with a complex tart and tangy finish. It’s particularly tasty off their regular hand-pump slot at Hobart hotel Tom McHugo’s. Their barrel-aged berry explosion, Fruit Bomb, has also won some love upon release this past month. Contributing once more to the stout category, Captain Bligh’s head brewer Steve Brooks created a gem during the winter, producing a stout brewed with blood oranges. A comparison to the humble jaffa lolly wasn’t out of line, but the flavour profile was far more complex and gave the palate a good working out. 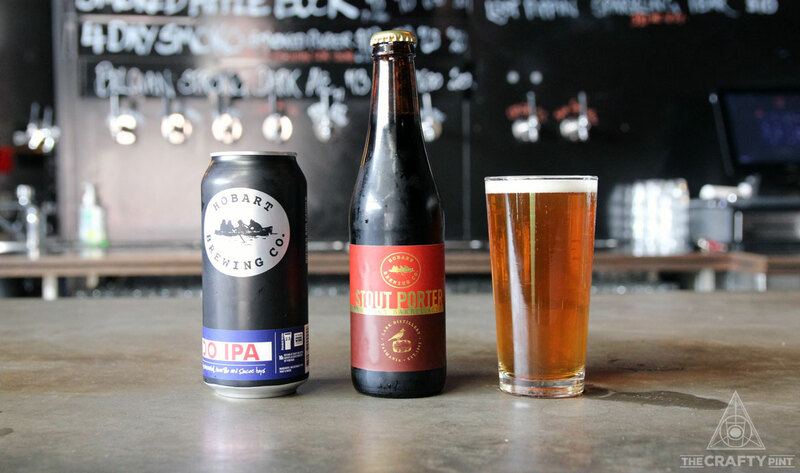 Sometimes seeming a little off the beaten track, Captain Bligh’s has found its niche in the Hobart beer scene and quietly continues to come up with some clever and delectable brews. So there it is. Thanks to the bar staff, distributors and beer reviewers who cast their votes to put together this list. Now bicker about it amongst yourselves.